Blast off into space, then work your way back in Stars and Planets: Glow in the Dark. Page by page, you'll take an exciting mission through the solar system from the outside in, exploring each planet in turn. Starting at the very edge of the solar system and traveling all the way to the sun, you'll see city-sized comets, Saturn's rings, ferocious storms on Jupiter, and scorching volcanoes on Venus. On the way, you'll dodge and dive through an asteroid belt, explore planets' moons, and bump into other spacecraft on their own important missions before reaching the sun at the end of the journey. 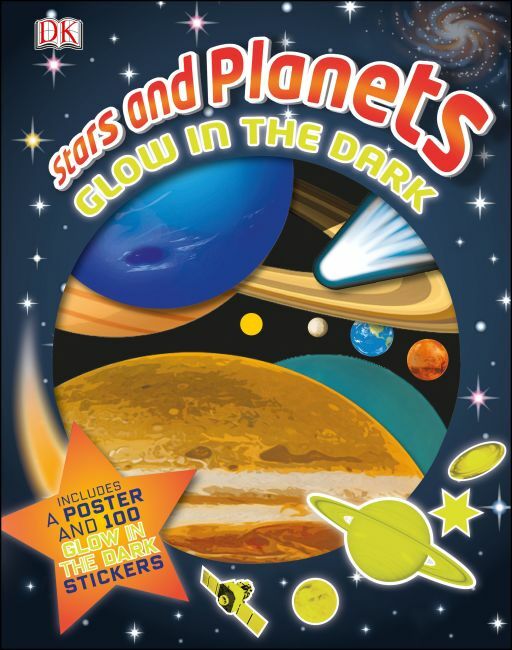 With die-cuts, images, labels, descriptions, and fun facts, plus a poster and sheet of glow-in-the-dark stickers, Stars and Planets: Glow in the Dark is the ultimate way to explore space.